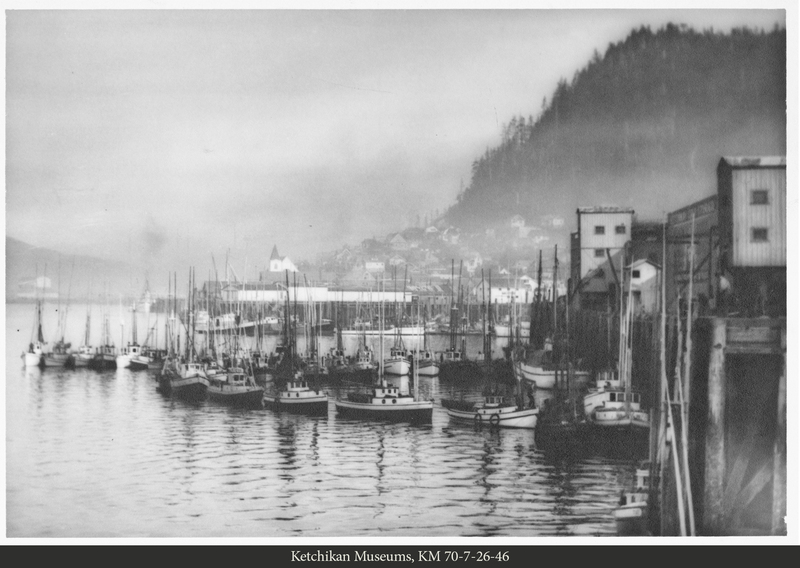 Ketchikan's newest landmark, the large, concrete Ketchikan Cold Storage plant at Front and Grant Streets, is visible over the boat in this photo. It began operation early in 1914. 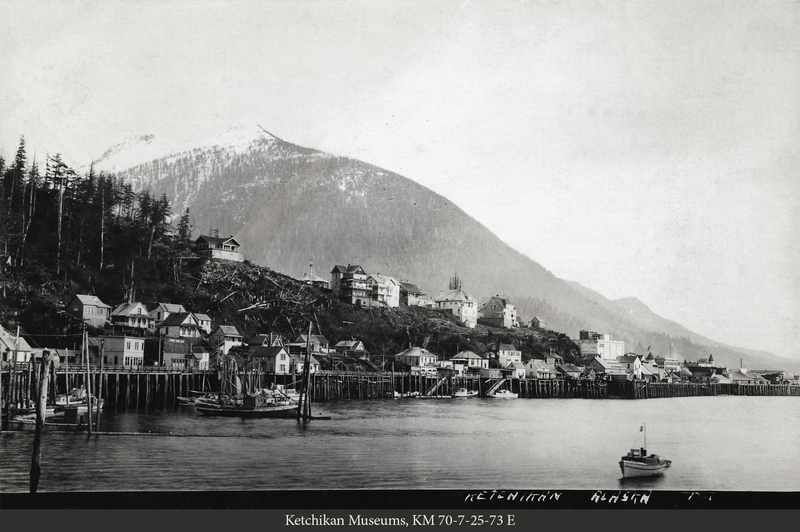 By the 1950s, the bulk of Ketchikan's population and much of its economic activity had moved out of the crowded Downtown area near Ketchikan Creek. The fishing industry and the pleasure boat activity had outgrown the crowded confines of both City Float and Thomas Basin. A new harbor was needed, and the most logical place was Bar Harbor - an area two miles north of Downtown that was already a center for the local fishing fleets. The southern end of Bar Harbor was marked by a large shipyard owned by Northern Commercial which sat on the point near where The Point Restaurant is currently located. 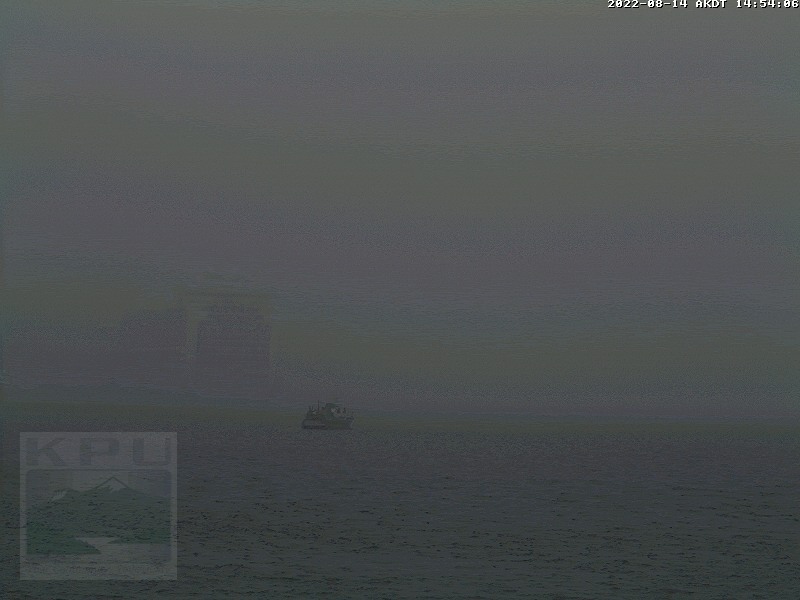 That point also formed the base of the Bar Harbor breakwater. The Northern Commercial shipyard was severely damaged by one of Ketchikan's most legendary storms, the Thanksgiving Storm of 1968. The Turkey day storm - which featured sustained winds above 120 mph - caused significant damage in the community, Hundreds of buildings were damaged and three of the community's 200-foot communications towers were blown down. Water surge from the storm crossed Tongass Avenue damaging numerous buildings. Bar Harbor is divided into two separate harbors that extend for nearly a mile along Tongass Narrows and is the home to hundreds of boats.